To investigate the effect of 20 g protein with breakfast and evening meal on muscle mass, muscle strength and functional performance in older adults. A double-blinded randomized controlled study. Healthy community-dwelling men and women (≥ 70 years) with reduced physical strength and/or performance. Subjects were randomly assigned to receive either protein-enriched milk (2 x 0.4 L/d; protein group) or an isocaloric carbohydrate drink (2 x 0.4 L/d; control group) with breakfast and evening meal for 12 weeks. The primary endpoints were muscle mass measured by dual X-ray absorptiometry, and tests of muscle strength (one repetition maximum test of chest press and leg press) and functional performance (handgrip strength, stair climb and repeated chair rise). In total, 438 subjects were screened, 50 subjects were randomized and 36 completed the study. Chest press improved significantly in the protein (1.3 kg (0.1-2.5), p=0.03) and the control group (1.5 kg (0.0-3.0), p=0.048), but with no difference between the groups (p=0.85). No significant change in leg press (p=0.93) or muscle mass (p=0.54) were observed between the protein and the control group. Nor did we observe any significant differences in the functional performance tests (p>0.05 for all tests) between the groups. 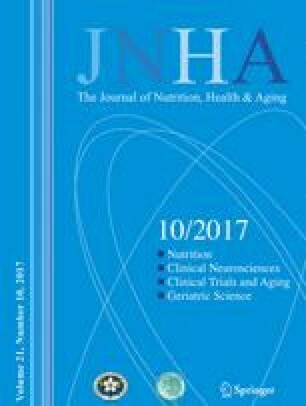 Increased protein intake (2 x 20 g/d) did not significantly improve muscle mass, muscle strength or functional performance in healthy older weight stable adults. Whether intake of > 20 g protein to each meal is necessary for preservation of muscle mass and strength in older adults should be further investigated in a larger study. This underscores the need for well-designed studies that can differentiate between the effect of protein intake and increased energy. This trial was registered at Clinicaltrials.gov (ID no. NCT02218333).